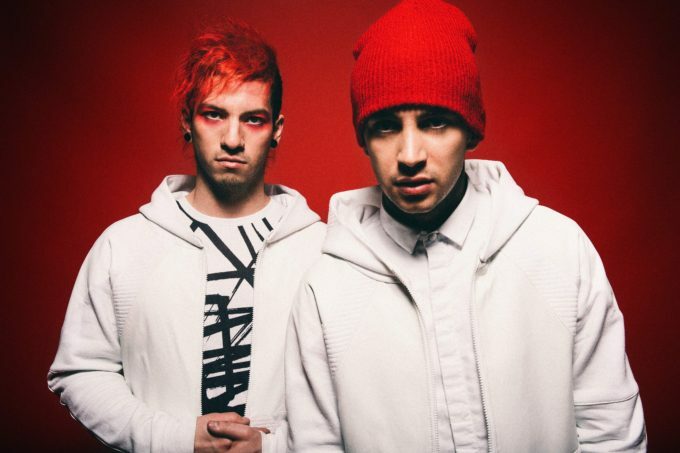 Hot on the heels of their smash single ‘Stressed Out’, appearances at Groovin The Moo and headline shows across the country, the boys from Twenty One Pilots have today confirmed they’ll be back down under in March next year for their first ever arena shows. Tyler and Josh will be hitting up the Entertainment Centres in both Brisbane and Adelaide, along with Perth Arena, Rod Laver Arena and Qudos Bank Arena (formerly known as Allphones). They’ll be performing tracks from across their four album releases, including ‘Stressed Out’ and freshly released single ‘Ride’. “We had so much fun last time we were here that we can’t wait to come back early next year,” the boys said in a video message (below). A Telstra Thanks pre-sale goes live at 4pm this Thursday before general public tickets go live from 2pm on Thursday May 19.